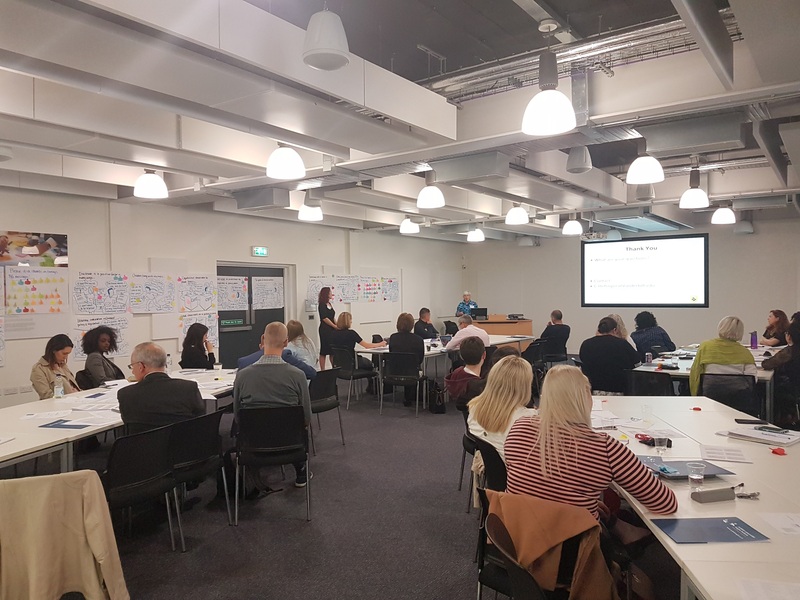 Jennifer Davidson, Executive Director for the Institute for Inspiring Children’s Futures, opened by warmly welcoming all participants, emphasising the importance not only of bringing people together to discuss these issues, but also of recording and sharing the learning. With this in mind, Strangeboat were on hand to film the keynote presentations, with Graham Ogilvie once again providing storyboards as a way of capturing ideas and provoking discussion. Indeed, the three keynotes of the day certainly warranted documenting, providing thought-provoking explorations of a range of theoretical and practical issues. Professor Pranee Liamputtong (Western Sydney University), in the first keynote address of the day, discussed her research with children and young people living with HIV/AIDS. Acknowledging the complexity of the experiences central to her work, she argued for the necessity of innovative research with children and young people—rather than research on children and young people—and provided examples of methodologies which would enable this. Continuing the focus on the complexity of childhood experience, Dr Susan Elsley, traced historical attitudes towards children from the Victorian period to the present day. 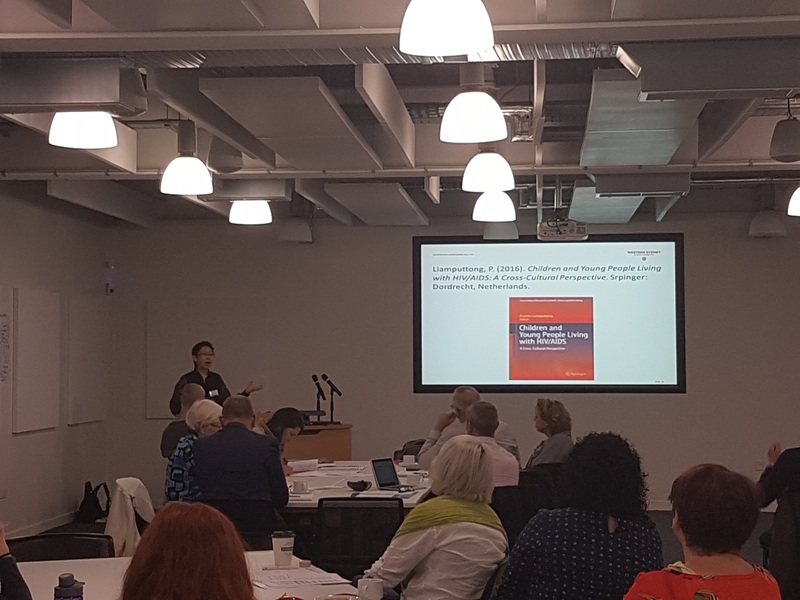 Throughout her keynote, Elsley demonstrated the significant impact of prevailing conceptions of childhood in marginalising children’s voices and experiences. While she noted significant improvements, a number of examples showed how problematic rhetoric remains ingrained in contemporary discussions of children and childhood. In this, Elsley made a strong case for the importance of work yet to be done. Shifting from conceptions to measurement in the final keynote of the day, Professor Craig Anne Heflinger (Vandebilt University, USA) discussed her research in measuring stigma towards young people with emotional and behavioural problems. She acknowledged the need to consider individual and community influences in generating stigma, and outlined a number of child-focused methodologies, including recent child-focused surveys about the stigma of emotional and behavioural problems. In her talk, she encouraged any interested researchers to make use of these surveys, noting that collaborative work was essential to expand on the dataset to enhance research. 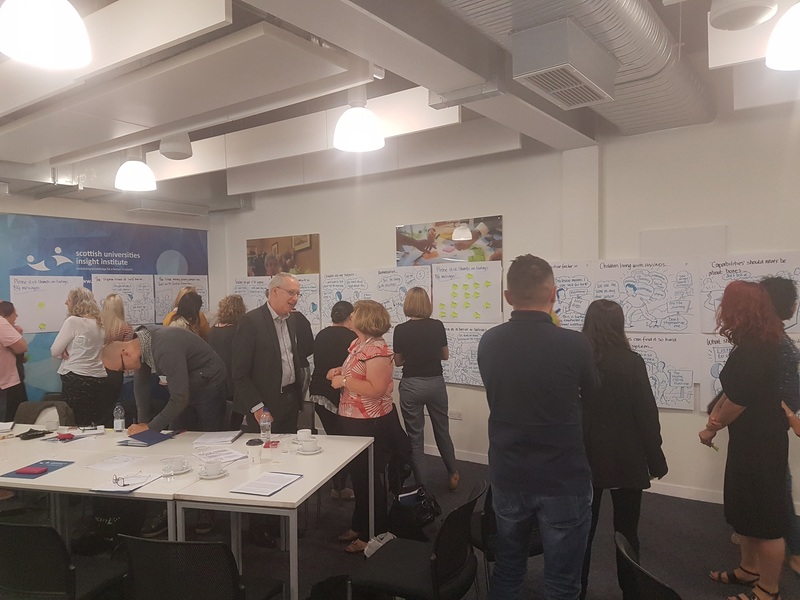 The overarching theme of the day was arguably inclusivity, with the majority of discussions referring to the need for collaboration not only between researchers and practitioners, but also with children and young people themselves. 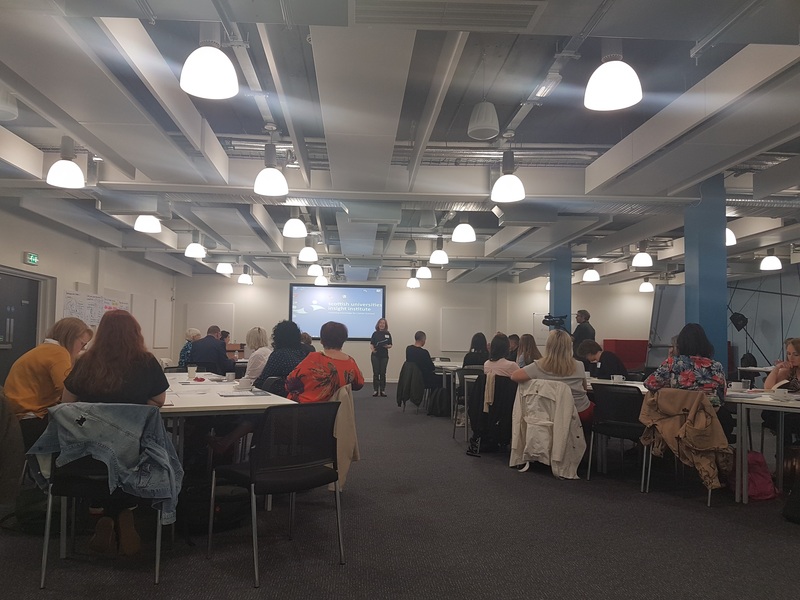 In the morning and afternoon table-top workshops, this was incorporated through the generous participation of three of the Fostering Network’s young champions. As care experienced young people they were able to give unique perspectives on issues central to the event and the ongoing project, highlighting the importance of bringing marginalised voices to the centre of the conversation. 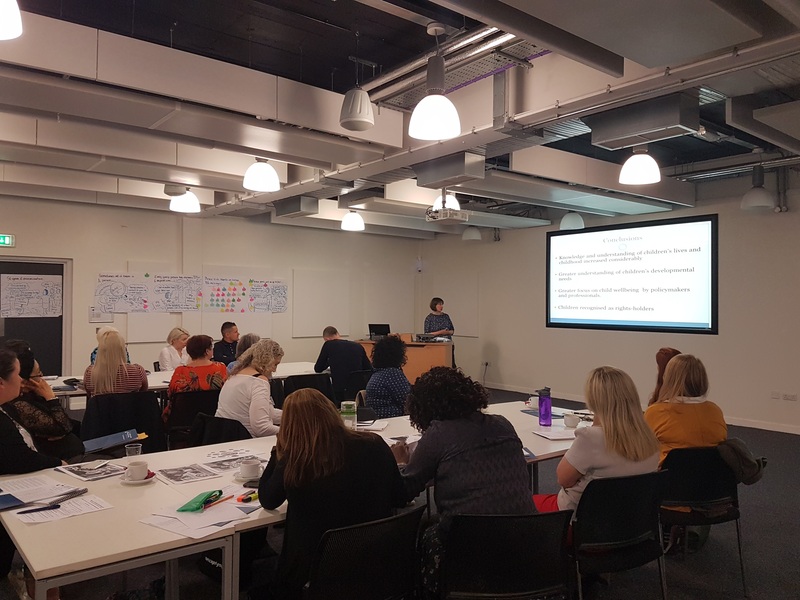 Similarly, Esther Muchena’s (Scottish Refugee Council) workshop on learning from asylum and refugee children and Dr Amy Chandler’s (University of Edinburgh) on stigma and self-harm also addressed experiences which are often marginalised or unvoiced. 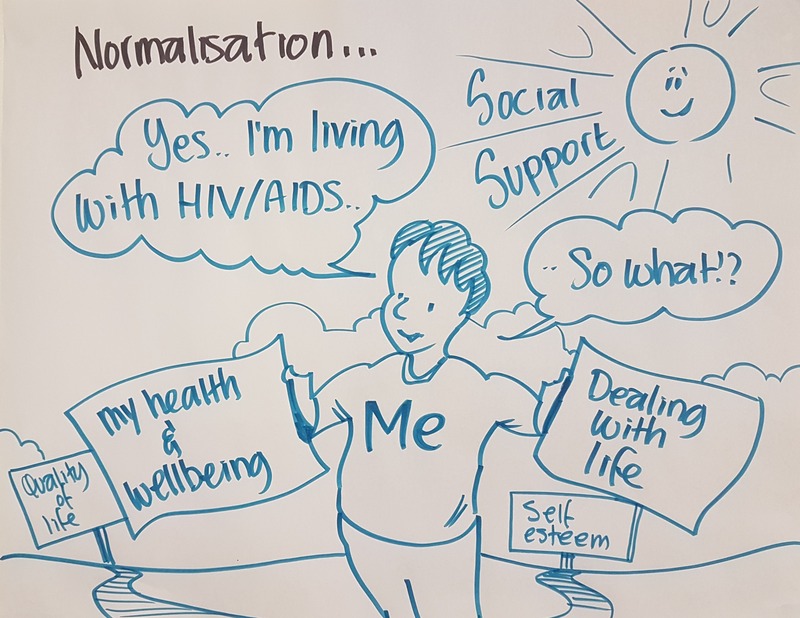 In dedicating much-needed attention to these experiences of stigma, while providing a space where young people’s stories can be told, the seminar made clear the project’s commitment to making informed and lasting changes to address and alleviate stigma in childhood. Undoubtedly, the work done throughout the seminar will form a solid basis for the final workshop, due to take place in August, which will focus on practical and policy issues.